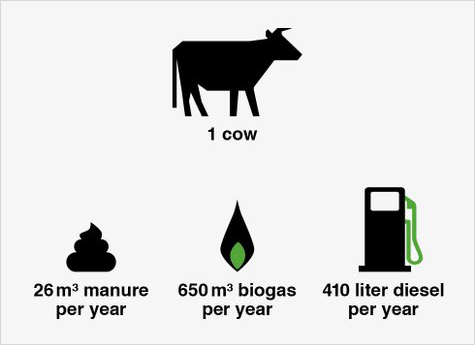 On a farm with 80 cows the yearly CH₄ emission of manure is equal to the CO₂ equivalent of 110 ton per year (that’s about 110 cars on the road). The Biolectric biogas installation daily pumps a fixed quantity of manure from the reactor to the digestate storage and repletes the discharged volume with fresh manure from the manure pit. This process is fully automated and is done under supervision. 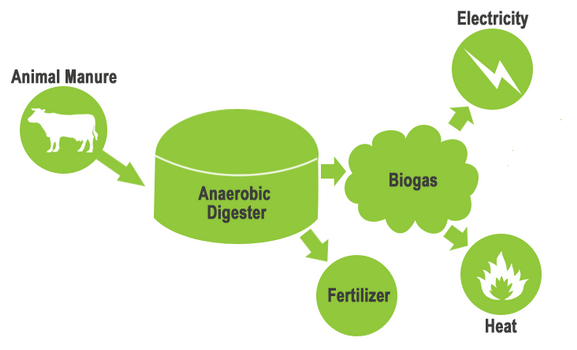 Biogas is formed in the reactor through anaerobic fermentation. The gas is then purified and in the combustion engine it converts to green energy. This energy can be used on the farm in the form of electricity and heat. 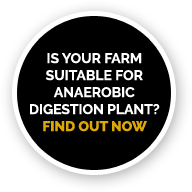 The Biolectric biogas installation daily pumps a fixed quantity of slurry from the reactor to the digestate storage and replaces the discharged volume with fresh manure from the manure pit. This process is fully automated and is done under supervision. 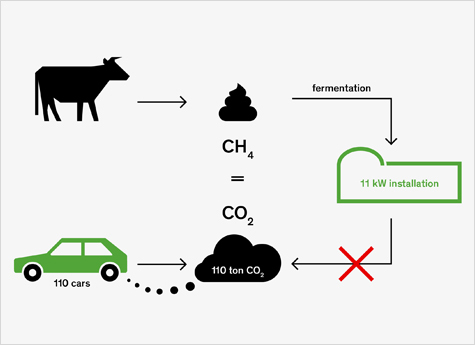 Biogas is formed in the reactor through anaerobic fermentation. The gas is then purified and in the combustion engine it converts to to green energy. This energy can be used in the form of electricity and heat on the farm. Biolectric systems are classed as micro AD because of the size of energy output i.e. 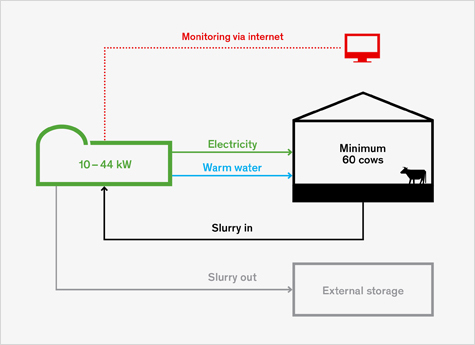 11-44kw and the benefit of installing these smaller sizes is that we can match the power usage of the farm to gain maximum efficiency and therefore greater returns. Larger AD plants export a great percentage of their electricity which is only worth around 50% value and cannot use all the available heat. Matching the size to the farms usage is not only the most efficient but is the most environmentally conscious option. 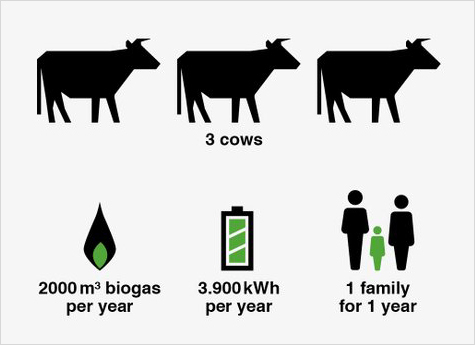 Biogas is a mixture of around 60% methane, 40% carbon dioxide and traces of other contaminant gases, Biogas can be combusted to provide heat, electricity or both. The ratio of heat to power varies dependent on the scale and technology, but typically 35-40% is converted to electricity, 40-45% to heat and the balance lost as inefficiencies at various stages of the process.